***When booking for 2 people, one bedroom & 1 bathroom will be locked off to make the Villa into a 1 bedroom 1 bathroom option. Please enquire to property should you require 2 bedrooms/bathrooms for 2 guests. 2 Bedroom Villas have a king sized bed and an ensuite in the main Bedroom and the second bedroom has either a king bed or 2 x singles and a television/DVD player (An ottoman bed or Rollaway bed can be set up for a 5th guest). This property is looked after with meticulous care. The gardens are neat and the interior of the villa is immaculate. All the furnishings, particularly the beds, were very comfortable and I felt right at home straight away. Each of the villas is situated in a way that provides each tenant with peace and privacy. The pool was also a lovely bonus and it was quite refreshing after a long day of walking about. It was great to be so close to the town and the many opportunities to explore. The owners of this property are to be congratulated on their superb management and attention to detail. It was a joy to be a guest at Delany Villas and I wouldn't hesitate to recommend it to others. Clean, tidy, everything we required and a great backdrop view from rear units. 15min walk to town and very quiet. Will stay again. 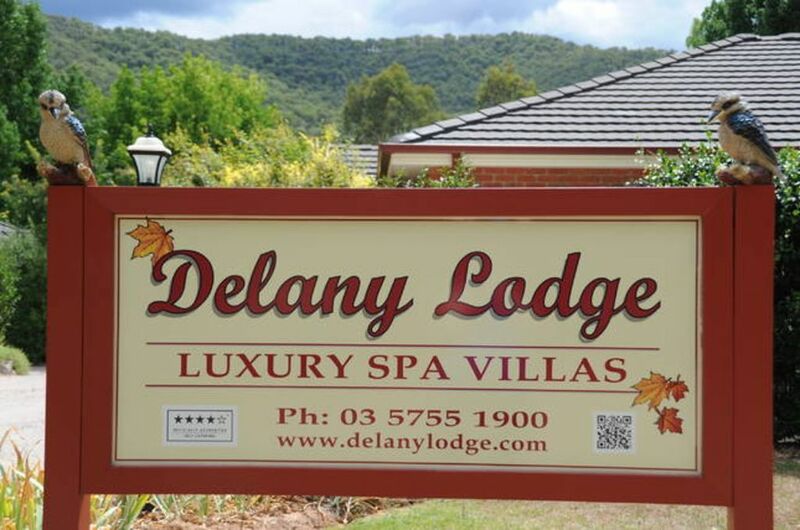 We loved our stay at Delany Lodge Luxury Spa Lodge. Enjoyed our stay here. The villas were very large and spacious with big bedrooms. The kitchen is full size with everything you need.